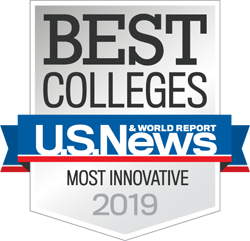 Sweet Briar’s 130-acre Rogers Riding Center ranks among the best in the country on a college campus. Set atop rolling fields, it is a mile from Sweet Briar’s main quad — walking distance along a beautiful country lane or wooded trail. The College also runs a shuttle bus for students’ convenience. The 120′ by 300′ Robin S. Cramer Hall, one of the largest indoor college arenas in the nation, has a heated viewing area and sound system. Several teaching and schooling fields with a variety of natural obstacles. Two late-model trucks, a six-horse Hawk gooseneck trailer and a six-horse Adams gooseneck trailer provide safe transportation to and from horse shows, foxhunts and other activities. Full-time stable staff are devoted to horses and riders. 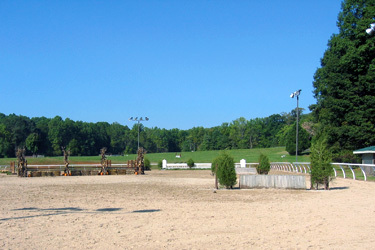 For added security, staff members live on the riding center grounds. Part-time student workers clean tack, turn out, groom and — under supervision — provide therapeutic treatments to horses. Riders enjoy Virginia’s long, mild falls and springs along 18 miles of trails that wind through Sweet Briar’s 3,250 acre-campus. There is no better way than on horseback to experience wooded countryside, foothills, dells and open fields. Sweet Briar’s campus is one spectacular outdoor classroom. Field riding courses, trail riding and hacking out are memorable ways to take advantage of this living laboratory.